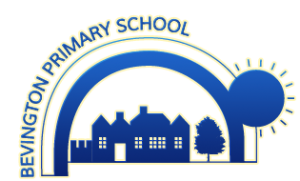 At the end of the Summer Term 2018, children at Bevington again achieved outstanding results in their end of Key Stage Two assessments. Children achieved significantly higher than the national averages in all areas of the curriculum. See below for a full breakdown of the results. The Combined Expected Standard represents the percentage of children who achieved the standard in Reading, Writing and Maths. The Higher Standard is achieved when children obtain a scaled score of 110 or above in Reading and Maths tests, or are assessed as working at Greater Depth in Writing. Children at Bevington also outperformed others locally and nationally at the combined Higher Standard. This represents pupils who achieved a higher standard score (110 or above) in all tests, and in writing. See the table below for local and national comparisons. A scaled score is a standardised national score which represents a pupil’s achievement in relation to the expected standard. The expected standard is represented by a score of 100, while a higher score is represented by a score of 110 or above. Children at Bevington made exceptional progress in all subjects across Key Stage 2. This information is gathered nationally and collated to give an average progress measure. The national average is a score of 0.0, meaning that a positive number indicates above average progress. Our combined progress scores in 2018 place Bevington in the top 2% nationally.